Players will learn the basics of serving, passing, setting, and hitting. Session: September 10-October 27, off October 15-20. 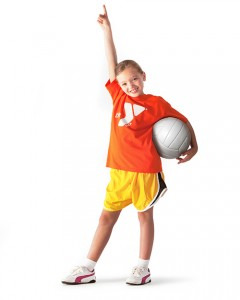 This program is designed to teach basic skills of volleyball including service, passing setting and hitting, as well as game concepts such as rotation, offense and defense. All equipment is age appropriate. Session: October 29-December 15, off November 19-24. This program is for 7th and 8th grade girls who want to continue to improve their volleyball skills after their school seasons. Expect players to work on skills and improve their serving, passing, hitting and team play. A season ending league tournament will be held for all teams. Officials will be provided for this league. This league will be a roster sign up league. All players must sign up as part of an active roster. Payment is due at the time of sign up. Only compleate rosters with a minimum of 6 players will be accepted. Volunteer coaches will be used for this program, if you are interested in helping coach please indicate your interest at registration. Separate leagues will be held for each grade.